We listened to your feedback and learned that people want more promotion the top social sites: Facebook, Twitter, Google+. 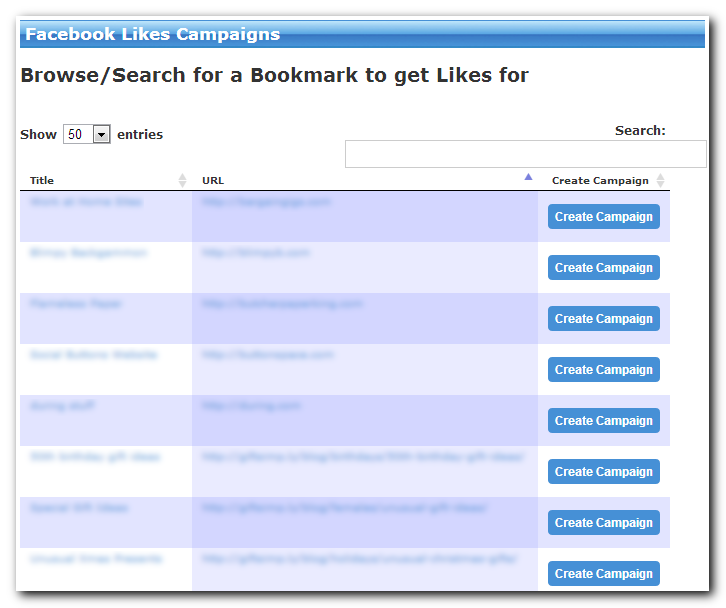 So, our 1st step in accomplishing this is a new Facebook Likes Campaigns service. Browse or search for the URL you want Likes for. It can be any URL, not just a Facebook Page. If you can’t find the URL, it likely means you haven’t bookmarked it yet. Click “Create Campaign” next to the URL. Hope everyone enjoys this new service!